In the sixth Regional Comprehensive Economic Partnership (RCEP) ministerial meeting held in Singapore, the negotiations for the conclusion of the proposed RCEP reached a critical stage; the top leaders from the 16-member coalition came together and pledged to endorse a package of outcomes by year-end. The economic ties between China and Vietnam, including trade, investment and tourism, are booming. 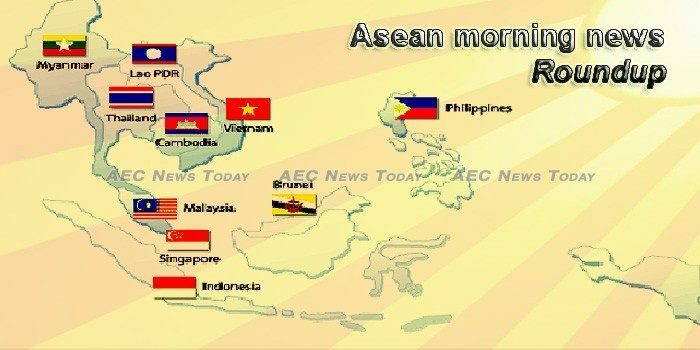 Eclipsing Malaysia, Vietnam is now China’s biggest trading partner in ASEAN. THE trade war between the United States and China could undermine the strong economic growth prospects of Southeast Asian countries like the Philippines, according to the United Nations Conference on Trade and Development (Unctad). A labor or employment contract is a binding agreement between an employer and an employee, that addresses important employment terms, including those related to wages, benefits, termination procedures, and the duties and responsibilities of both parties. China has launched a new publicity drive to promote the benefits of its Belt and Road Initiative (BRI) – and the surprise is that a publicity campaign is necessary at all. Asia-Pacific’s mobile operators are expected to have a combined 477 million 5G subscriptions by 2023, according to GlobalData. The people of Asean — its leaders, governments, businesses and activists — want an Asia that works for all. Thirty-five per cent of Cambodians are still living in poverty, with the rural population making up the majority, according to estimates from the 2018 global Multidimensional Poverty Index (MPI) released by the United Nations Development Programme (UNDP) and the Oxford Poverty and Human Development Initiative (OPHI) on Thursday. Prime Minister Hun Sen on Tuesday announced plans to meet “thousands” of supporters in the US for the first time after his landslide victory in July’s national elections, polls described as allegedly “flawed” by many Western nations. Australian filmmaker James Ricketson will be banned from returning to Cambodia following his release from jail last week. Indonesian Gov’t Confused: Postpone Power Projects or Not? Based on the latest reports – and contrary to earlier plans – the Indonesian government will not postpone the development of 15,200 MW of power projects. Convenient store chain Indomaret and Indomaret Point, owned by retail group Indomarco Prismatama, were the top-selling retailers of 2017, racking up a combined US$4.89 billion in sales, according to London-based strategic market research company Euromonitor International. Bank Mandiri has completed the bond issuance process in the scheme of I Phase III – 2018 Sustainable Public Offering (PUB) worth IDR3 trillion with an 8.50 percent coupon and a five-year tenor after officially registering the bonds on the Indonesia Stock Exchange on Monday (9/24/2018). Parts of an environmental impact assessment for the controversial Pak Lay dam in Laos was copied word for word from an assessment of the equally contentious Pak Beng dam, an advocacy group has claimed. Secretary General of the Lao People’s Revolutionary Party Central Committee and President of the Lao PDR, Mr Bounnhang Vorachit, along with high ranking officials yesterday gathered for a wreath-laying ceremony and signed a condolence book for late Vietnamese President Tran Dai Quang. Phnom Penh Municipal Court yesterday tried a Cambodian-Lao man who allegedly trafficked more than 56 kilograms of methamphetamine and heroin from Laos to stock and distribute in Phnom Penh last year. Rosmah Mansor, wife of Malaysia’s former prime minister Najib Razak who is embroiled in the multi-billion fraud scandal surrounding state fund 1Malaysia Development Berhad (1MDB), has been called to the Malaysian Anti-Corruption Commission headquarters in Putrajaya on September 26 for a second questioning and is likely to be charged as early as this week . The authors of Billion Dollar Whale claim to be the people who “broke the story on 1MDB”. In their book they also claim, according to reports, that insiders in the 1MDB investigation approached them with documents on Najib’s bank account (having allegedly been impressed by the WSJ’s reporting). Malaysian cabinet ministers have reportedly begun informal talks to amend the law on medicinal marijuana amida public uproar over a death sentence handed to a man last month. The Ministry of Electricity and Energy (MOEE) officially announced that the ShweYee Htun-2 appraisal well at offshore block A-6 near Rakhine State is able to produce natural gas for commercial purposes. Myanmar will export gold to Shanghai, Dubai and Thailand, said Dr Ye Thu Aung, director of Myanmar Gold Development Public Co., Ltd at a ceremony to open One Stop Services Center (OSSC) at Myanmar Culture Valley in the People’s Squares in Yangon on September 24. The world’s top diplomat has called on Myanmar to pardon and release two Reuters reporters who were sentenced to seven years in prison in Myanmar (formerly Burma) earlier this month. The Asian Development Bank (ADB) has revised downward its growth projection for the Philippines this year and next, concerned with the persistent weakness in the agriculture sector, slower growth of exports and inflationary pressures. The Philippines plans to raise as much as P270 billion pesos from the sale of treasury bills and bonds in the fourth quarter, the same amount that was planned for the current quarter, the Bureau of the Treasury said on Tuesday. The Philippines’ “slow” shift to automation may lead to lower competitiveness and fewer job opportunities in the near future, analysts said Wednesday, as the government continues to urge businesses to invest in artificial intelligence (AI) and upgrade workers’ skills. A new training facility was opened at Tuas Naval Base on Wednesday (Sept 26) to prepare sailors for operations on board Singapore’s latest home-built high-tech warships, as another two of the fleet became ready for action. Singapore Economic Development Board announced on Wednesday that the city-state’s manufacturing output grew by 3.3 percent year on year in August, compared to the revised 6.7 percent increase in July. More than S$50 billion in tax revenue was collected in the last financial year as revenue from stamp duties jumped by nearly 50 per cent, data released by the Inland Revenue Authority of Singapore (IRAS) on Wednesday (Sep 26) showed. Two British divers who helped rescue a Thai youth football team from a flooded cave had earlier saved four adults also stranded in the complex, according to a new report on a mission that gripped the world. The Bank of Thailand (BOT) has resolved to increase the limit on free money transfers for users of internet banking to 700,000 baht per transaction. The top executive of a company that supplied the controversial GT200 remote substance detectors worth altogether nine million baht to the Royal Guards Regiment was on Wednesday sentenced to nine years imprisonment by the Don Meuang District Court after he was found guilty of fraud. Three top Vietnamese banks have been struggling to increase their capital to meet international adequacy norms. There was more than a little fishy business going on last week when a truck carrying a load of live fish in Vietnam ended up spilling its load all over the roadway resulting in a ‘fishocide’.